First, can we just take a moment to appreciate that he started his photography career at the age of 37. A welcomed paradigm in a world that pressures individuals to define themselves and their career goals in their teenage years. Monteiro, who know lives and works in Dakar, is a trained industrial engineer. He then fell into the world of modelling and did that for about 12 years, before he met New York photographer, Alfonse Pagano, in 2007. 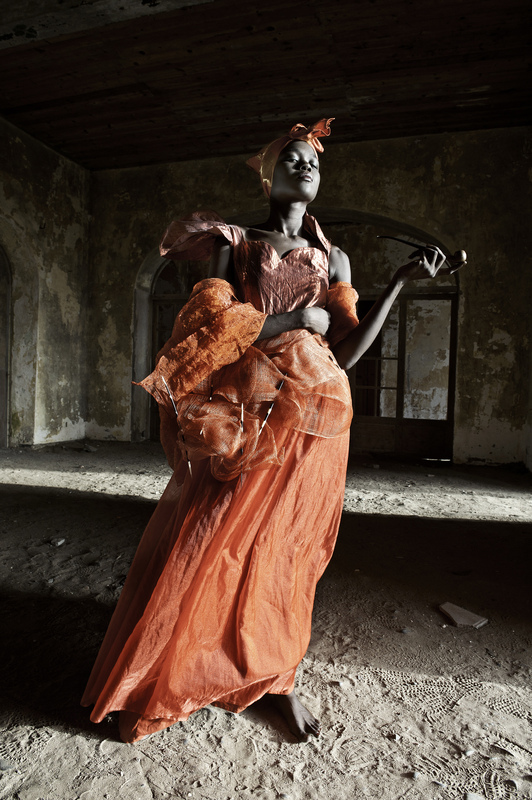 Pagano became his mentor and by 2009, he was pursuing his love for visual art through fashion photography. 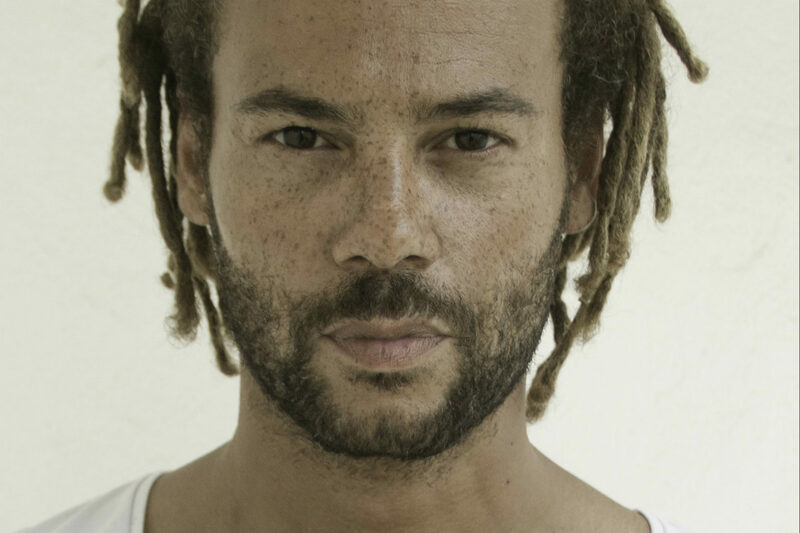 To date, he possesses a portfolio that contains works spanning photojournalism, fashion photography and portraiture. Monteiro grew up in Benin but left for Europe, where he stayed for over two decades. When he returned to Africa as an adult, he was stunned by the environmental degradation and pollution he found. Moreover, children today are being raised in a society where pollution is the norm and thus won’t realise the need for change; unless educated on the need for a cleaner alternative. 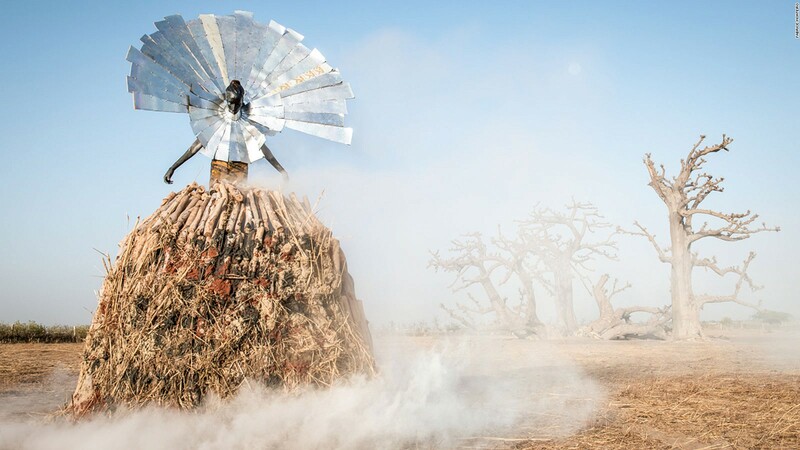 To combat the lack of environmental education he found in Dakar, Senegal, he crafted ‘The Prophecy’ series. The choice to utilise animism in the series was to ensure that the message was effectively communicated to his audience, and that the illustrations piqued the interest of children. 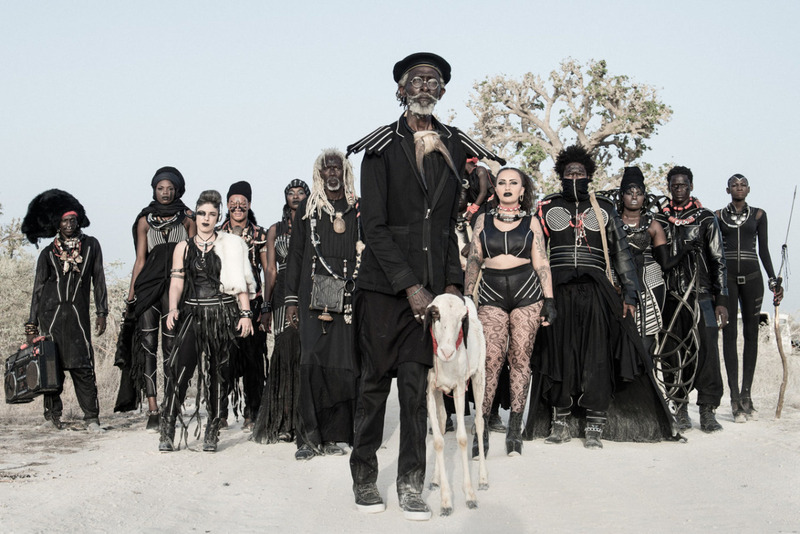 This is because, in West Africa, animism is still an integral part of society. 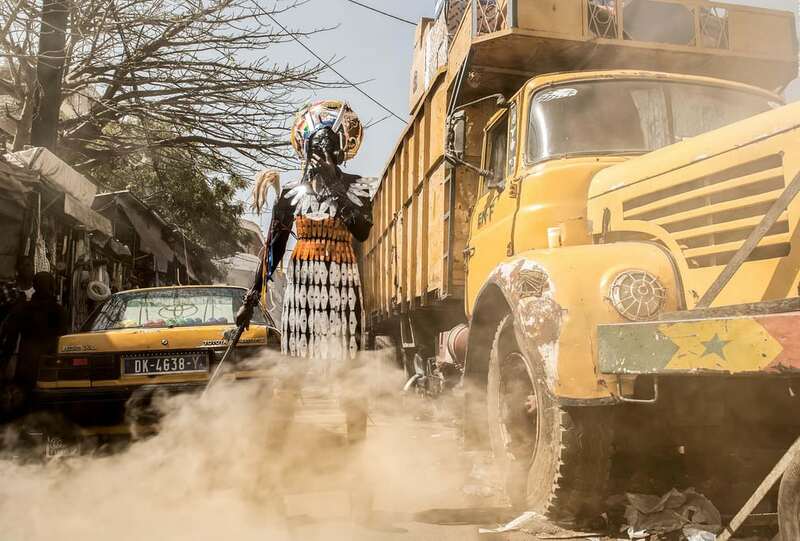 Working with local costume designer, Doulsy, it took over two years, ten Senegalese landscapes and nine “djinns” dressed in haute couture that represented the biggest environmental challenges in Senegal, to make this project a reality. Each “djinn” was sent by Gaia (the mother earth) to deliver messages of warning and empowerment to humans because she has exhausted he ability to maintain nature thanks to our consumption culture. In collaboration with the Ecofund organisation, they held an outdoor exhibit where each image was showcased with facts about the local issue they represented. 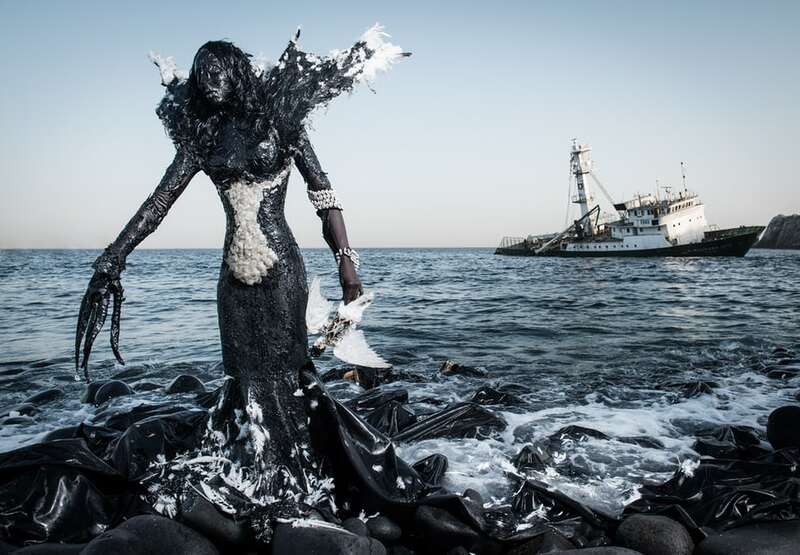 According to an article by CNN, the series prompted an immediate response in Dakar that saw the slaughterhouse of Dakar cease dumping its waste into the ocean. 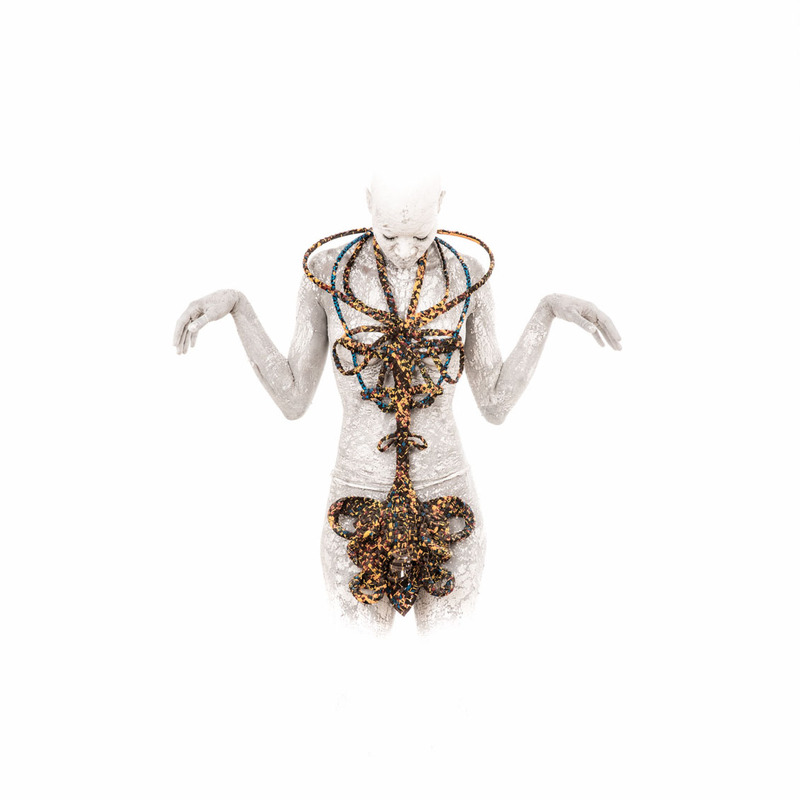 Monteiro worked with jewellery and fashion brand, MISWudé, to create this series. From a distance, it looks like a shoot that makes a reference to the traditional handicraft body jewellery that are made from wax-dyed cotton fabric. 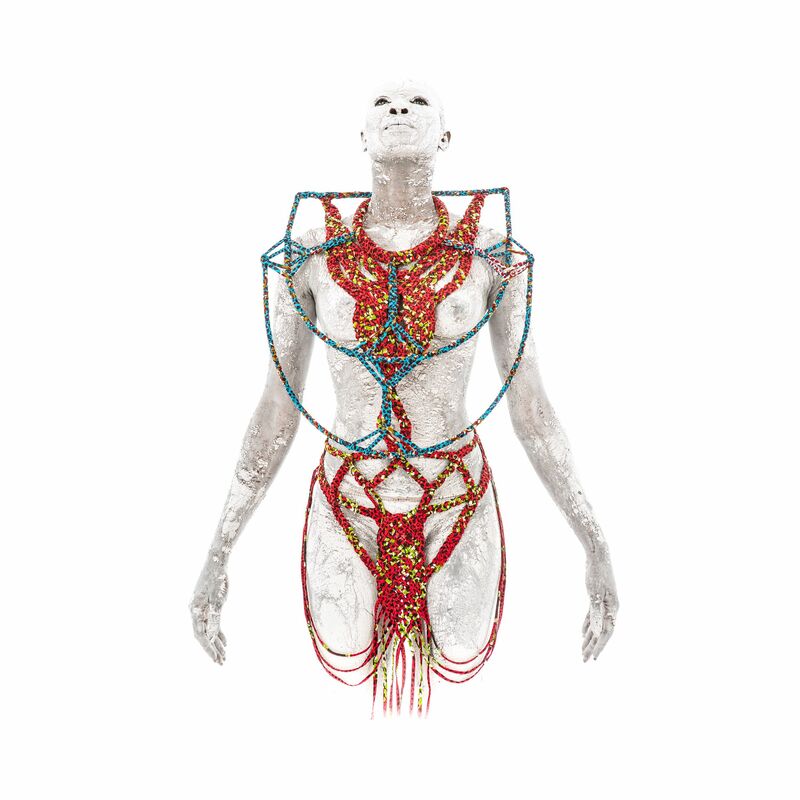 However, the placement of the jewellery is redolent of 18th century anatomical studies. It also references the undergarments that are typical in West Africa. With hints of subtle erotica, they are made to enhance the body while at the same time, concealing it. Nevertheless, there is an even deeper meaning to this series. Wax is a crucial resource in West Africa’s aesthetic industry. Yet, the product isn’t manufactured in Africa. Because it’s only used at the level of processing and consumption, it’s a symbol of colonial expansion and Africa’s lack of dominion. 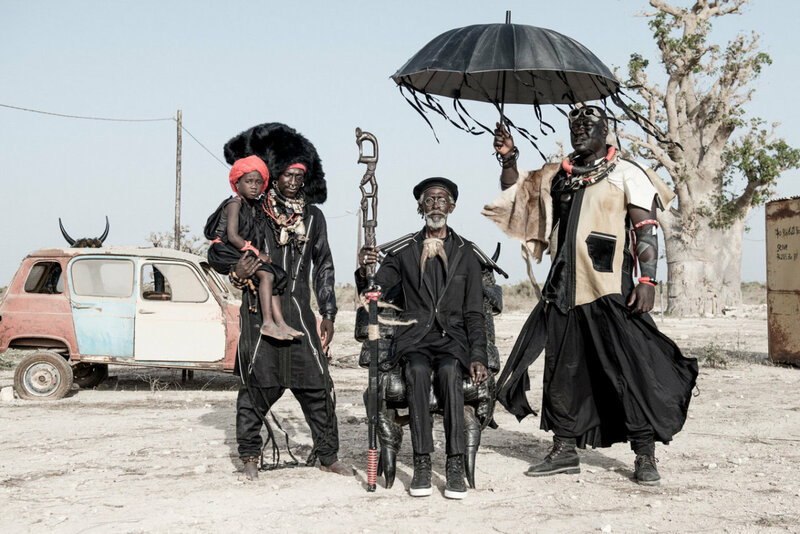 In this series, he uses the act of cutting and re-joining to illustrate the re-invention of an African aesthetic identity by liberating it from the colonial context. As European traders began to descend upon the continent, the meeting of cultures was inevitable. In 15th and 16th century, Saint-Louis, the Europeans weren’t permitted to come with their families so, as these things go, they began to interact with the locals. 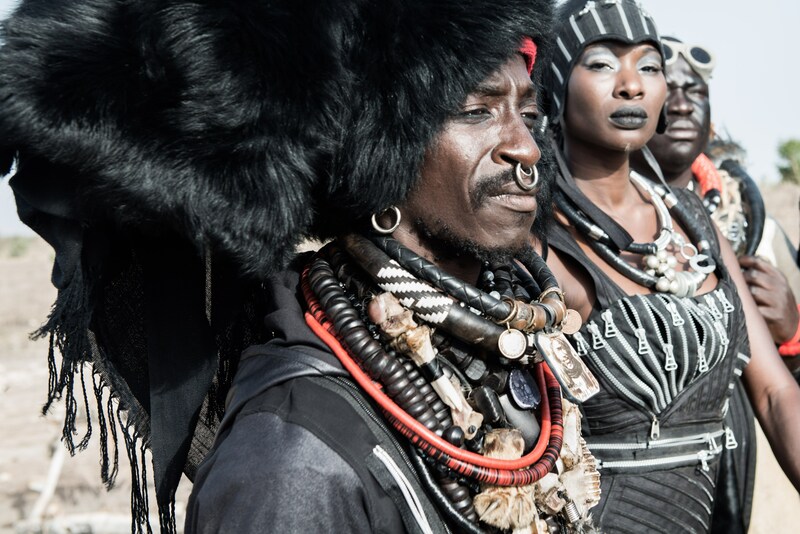 Those in Senegal were allowed to practice the “marriage with the mode of the country”. Thus, a black or biracial woman – called Signare – living with white men were exposed to French culture and language. This earned them the status of African nobility who’s descendants were eligible to attain profit from the heritage rights. This series was a reconstruction of these women who were akin to French nobility women who married French or English aristocrats. 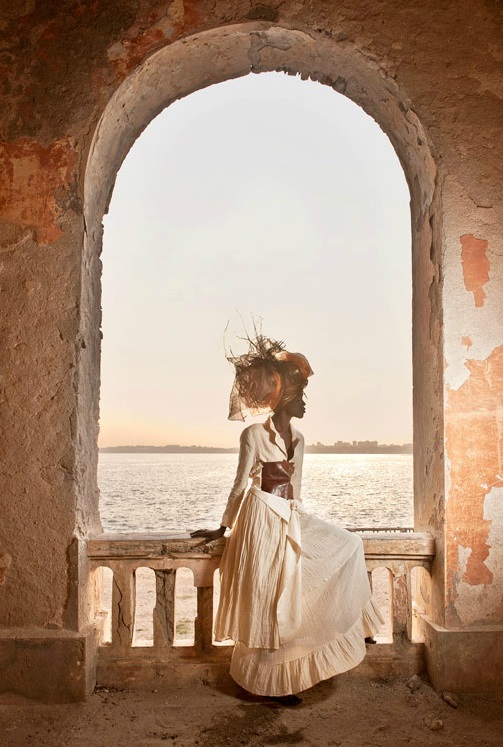 Women whose beauty, charm and business acumen played a role in the Atlantic slave trade. 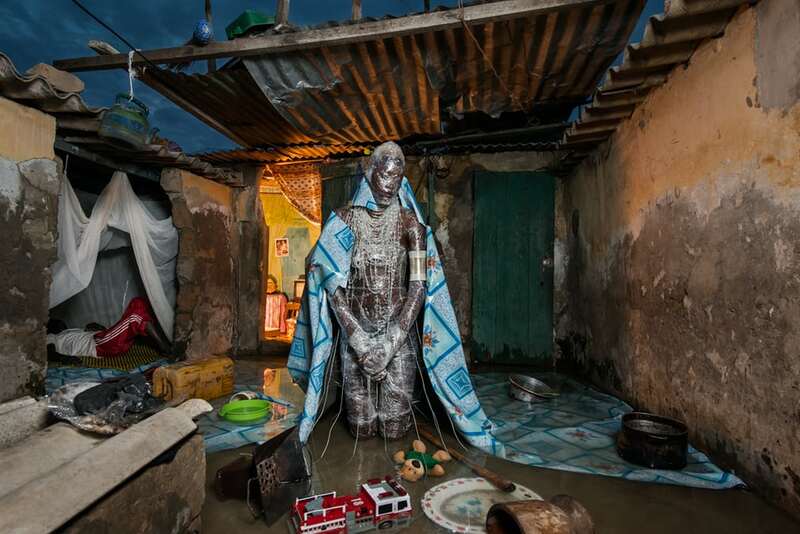 Monteiro’s work starts with introspection to then rebrand issues that society has chosen to ignore or forget. What makes his work so captivating is that he chooses artistic compositions or mediums that speak directly to his audience. Through photography, he seeks to start conversations that will showcase culture, as well as, prompt change. 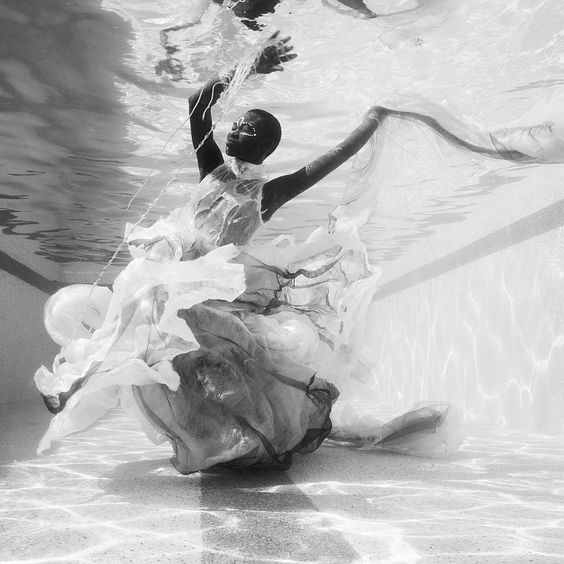 How can you utilise your art or lens to do the same?